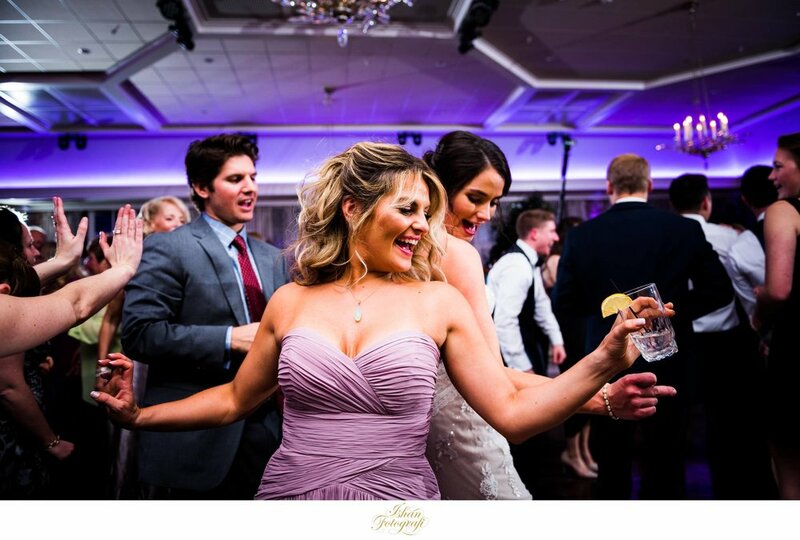 The connection with our couples does wonders for us (and for them) and that’s exactly what made Kelly and Noah’s wedding so much fun! 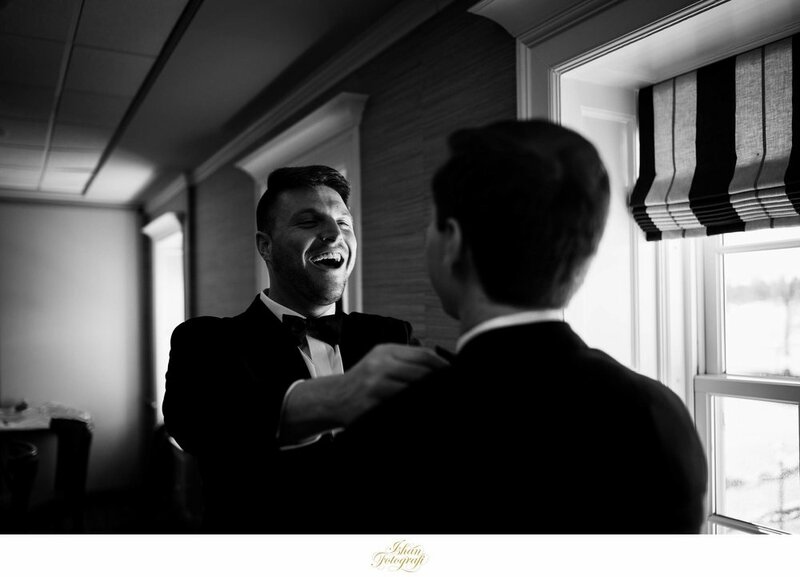 Although we were already booked by Kelly & Noah to photograph their most precious day, we only met them for the first time very recently, at Michelle & Jake's destination wedding in Florida. 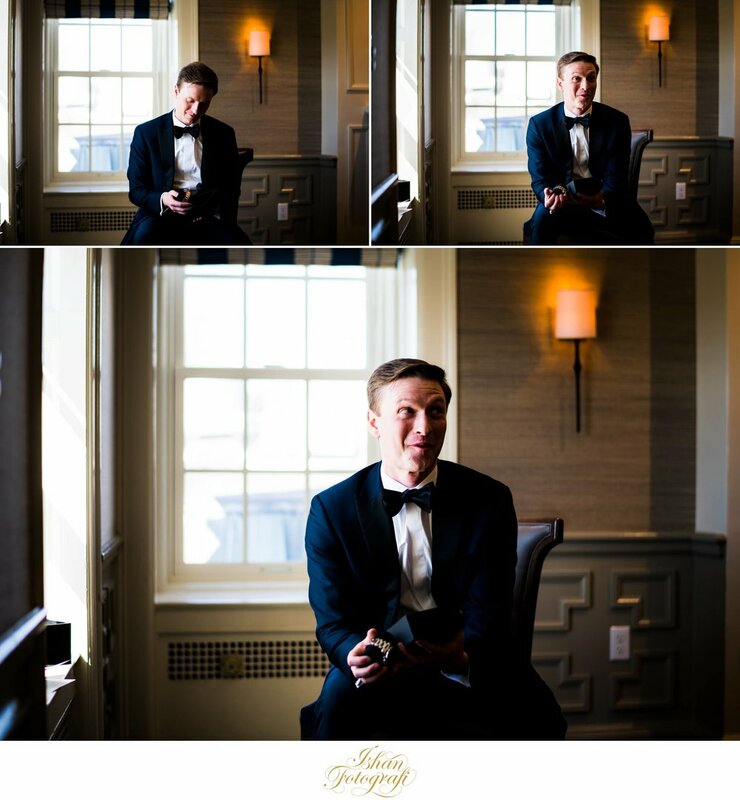 The instant connection with our couple just made the next few weeks full of anticipation and excitement as we would be photographing them as Husband and Wife! 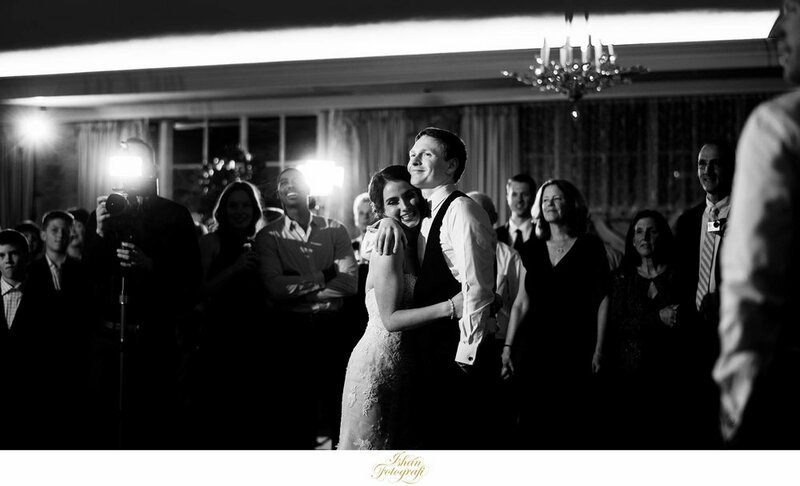 We are thrilled to share this with you as their pictures are nothing short of charming as the couple themselves. 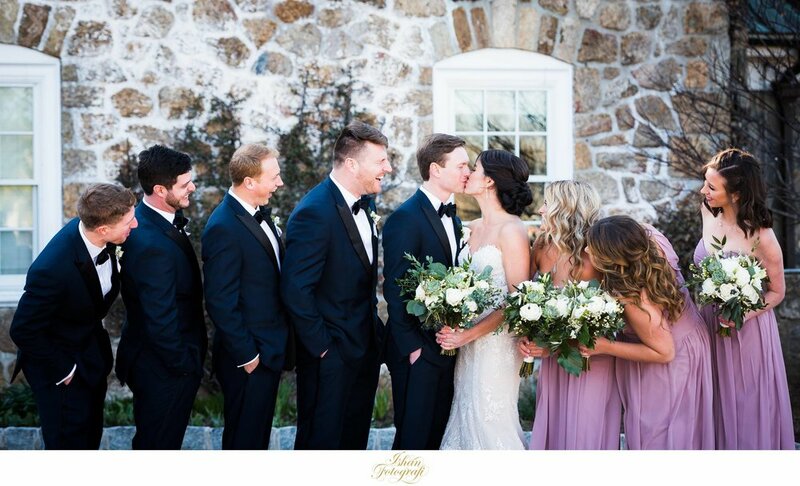 Winter and Spring weddings in New Jersey can be very interesting. 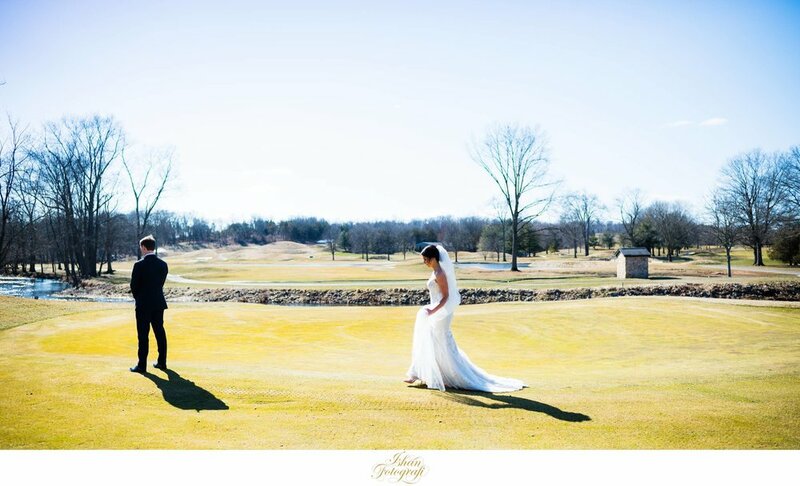 You can either expect record-breaking cold temperatures as we experienced on the New Year's Eve wedding, a lot of snow or a random 70-degree day. It's a mixed bag. 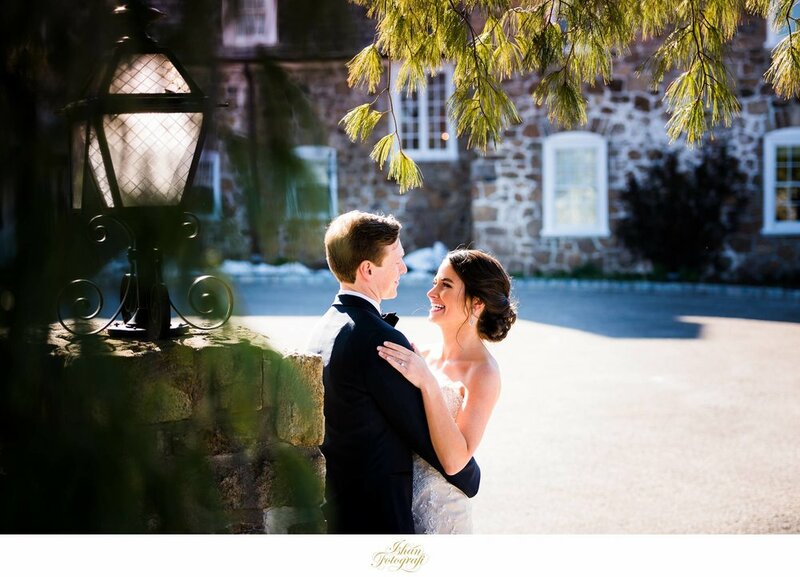 For our newlyweds, Kelly and Noah, it was a very bright and cloudless wedding day at the Fiddler's Elbow Country Club. 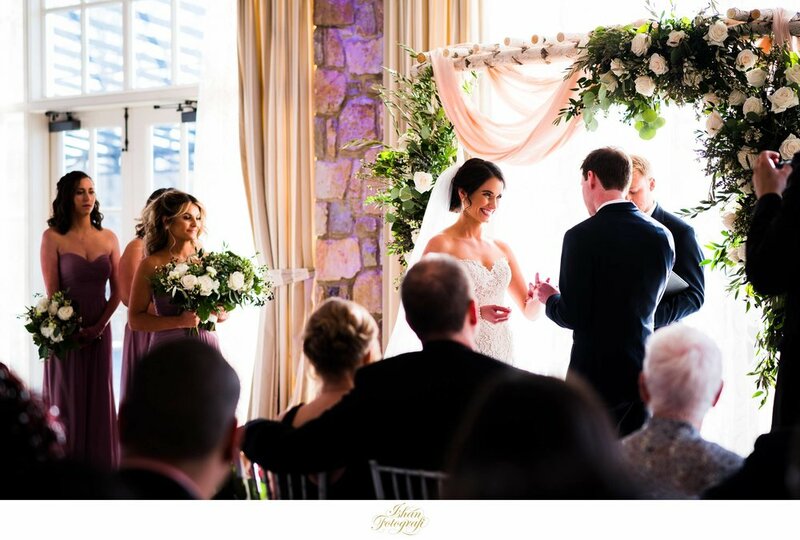 It was cooler, but the joy and love of the bride and groom and their families were beaming like rays of summer sun that can make any cold day warm. 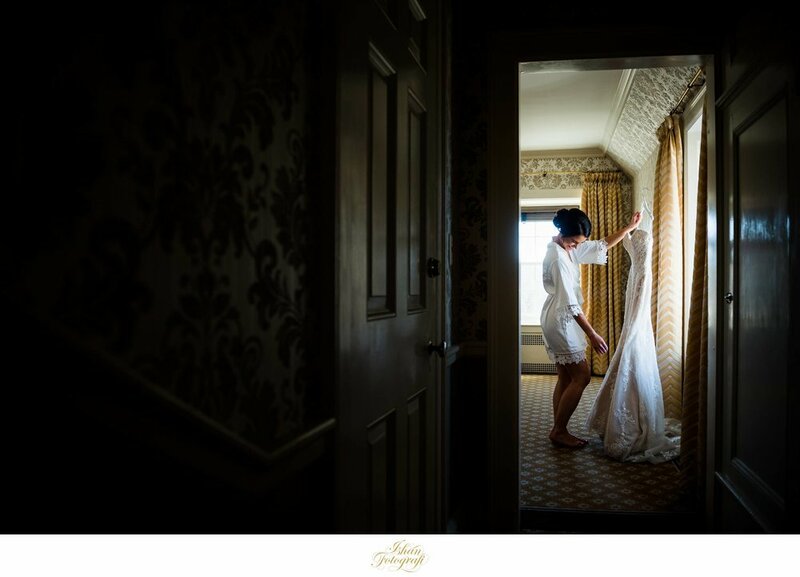 We started our day with our very sweet and beautiful bride getting ready. We then stepped out to do the First Look. 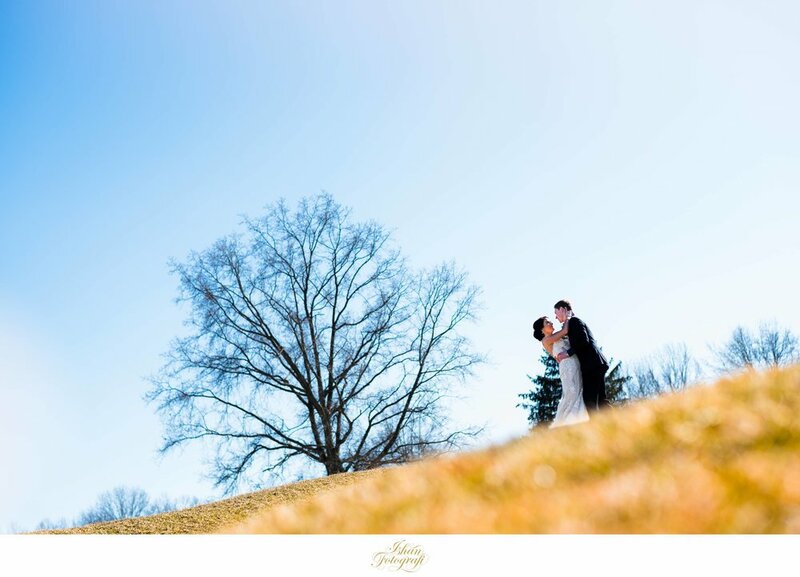 As you see, the cold weather meant nothing to this couple! 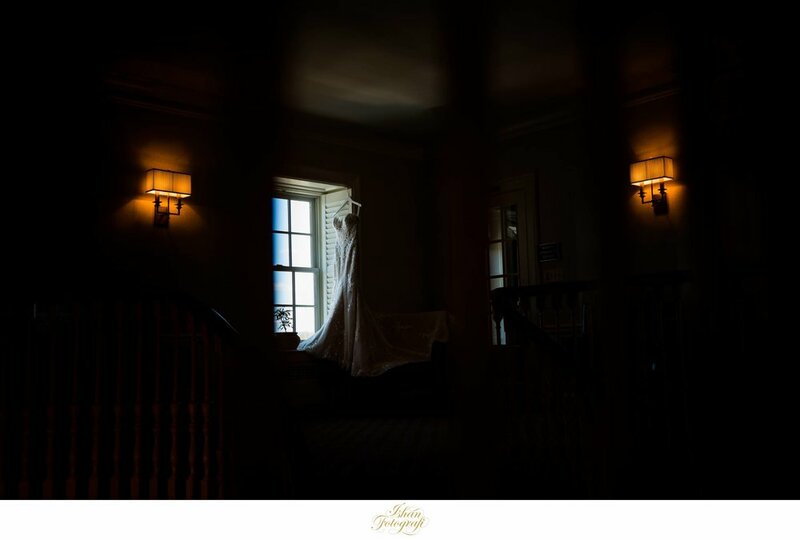 We nervously proposed an idea to Kelly to shoot them over a very steep slope and can we tell you, how casually Kelly supported and just went along ever so elegantly and effortlessly on a STEEP slope in her wedding gown and high heels! Meanwhile, on the other side of the slope, you can guess who was breaking a sweat. It was so impressive to watch her and just so much fun to photograph it! Kelly, thank you for that and we hope you love what you see! 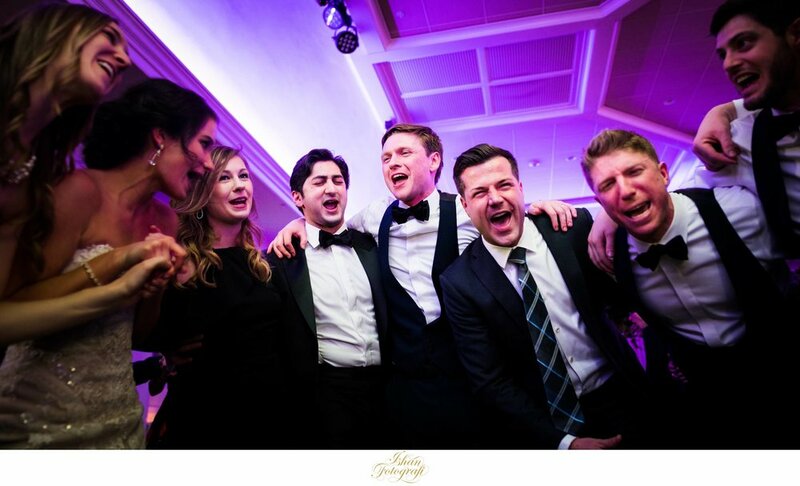 Here are some of our favorites from their amazing wedding at the Fiddler's Elbow Country Club. Enjoy! 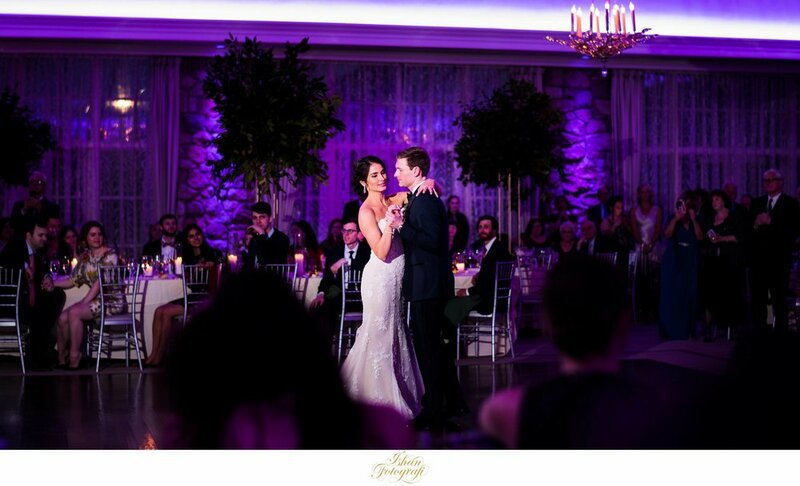 Kelly & Noah - Thank you for making us a part of your wedding day! It was our pleasure photographing you both and your families. We wish you guys the best! 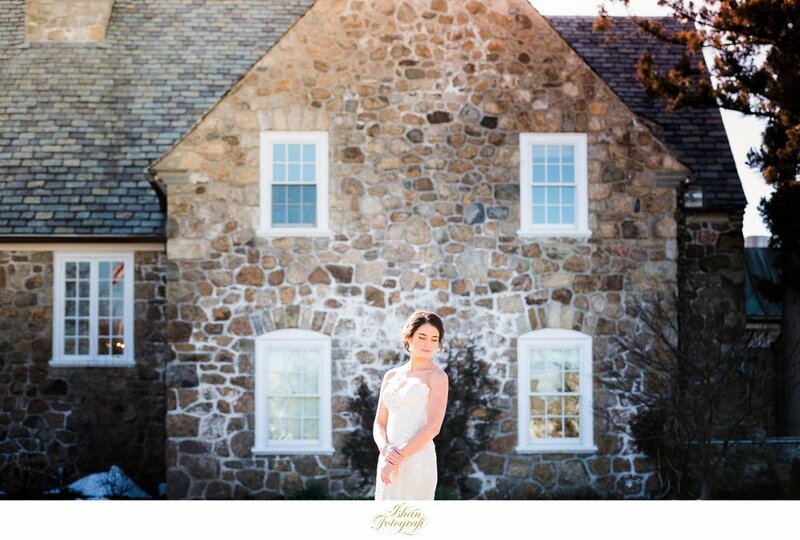 Update: Kelly & Naoh's wedding at Fiddler's Elbow Country Club is featured on New Jersey Bride. 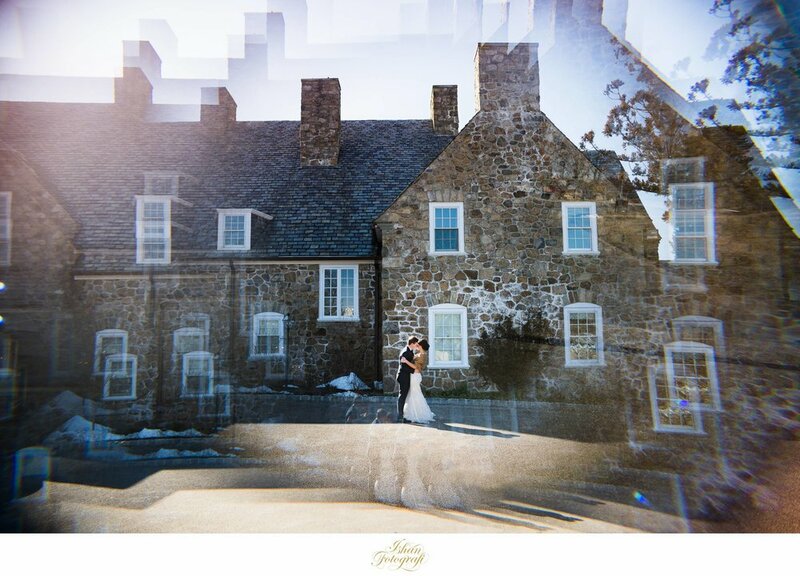 Fiddler's Elbow Wedding by NJ wedding photographer Ishan Fotografi.